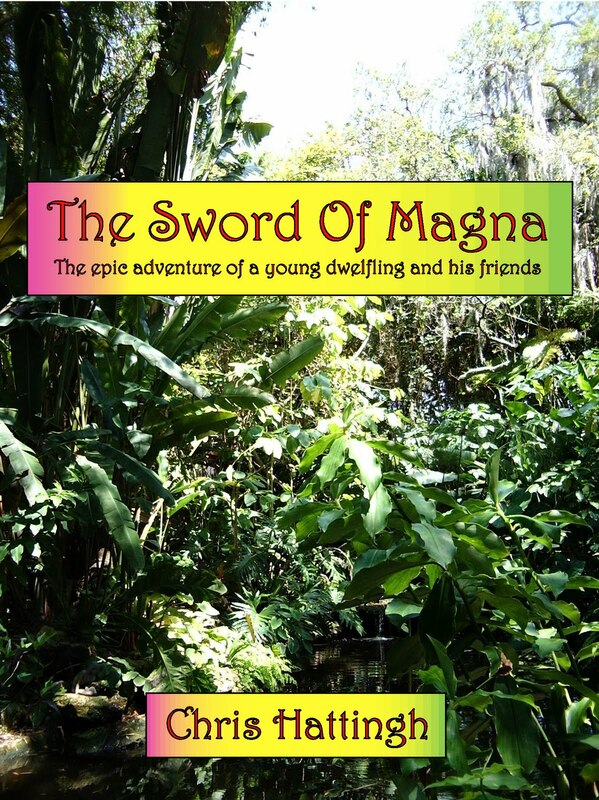 In March of this year The Sword Of Magna was published by BookBaby, and is now available for download from all the major online ebook retailers. This is the culmination of a quest spanning two decades, and it really feels great to finally be able to share my book with the world. Now for some history…. 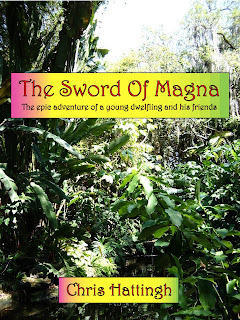 I was initially inspired to write this book after reading The Lord Of The Rings by J. R. R. Tolkien back in 1980. This was life-changing for me – I had never before been so completely engrossed in any book. Originally from South Africa, I was surprised to learn (many years later) that Tolkien had gained much of his inspiration for The Hobbit and The Lord Of The Rings from a writer’s retreat he once took in a magical and idyllic area of the Eastern Cape in South Africa (an area that I had driven through a couple of times – and also felt inspired by). This served to make me feel much more connected with his work. I can easily picture Tolkien walking around the misty Hog’s Back mountain trails on the Garden Route, taking in all the natural splendor of an immense ancient coniferous forest, complete with rugged mountain vistas, majestic waterfalls, and breathtaking cliff top views overlooking the raging surf far below. The only sounds to distract him would have been the sound of the wind and surf, and the calls of a large variety of indigenous bird species. He would have enjoyed all the quaint little eclectic communities full of artists, musicians, poets, writers, craftsmen, backpackers from Europe, mountain bikers, and hang gliding enthusiasts. For his lodging he would have had a huge selection of picturesque hostels, bed and breakfast establishments and cabins to choose from. To this day, many internationally acclaimed authors take their writing retreats somewhere along the Garden Route. I first wrote the manuscript for my book in the early 1990’s on an old fashioned typewriter, and I secured the copyright sometime in the 1990’s. In the early 2000’s I scanned in all the pages and saved my book as a Word document. Then I began to slowly edit and refine it, adding some new chapters and characters. Realizing that my book had evolved a bit from the state it was originally in when I first got it copyrighted, I decided it might be a good idea to submit this new version of my book to the copyright office. I secured a second copyright in the mid 2000’s. Then I had a near death experience on Thanksgiving Day of 2005, and after I came back to this world I realized that if I was ever going to get my book published I needed to do it NOW! I made a few more minor edits and started sending out manuscripts to traditional publishers in the US and UK throughout 2006 and 2007. Of course the unanimous rejections came as no surprise…every best selling author or platinum recording artist has had their fair share of rejection letters from “experts” who just couldn’t see their potential. I hadn’t given up the fight though, and I kept making a few minor edits to my Word document until 2009, at which time I had manipulated the book into its present form. I immediately applied for and secured a new copyright. I then made one last attempt to find a traditional publisher, but of course my efforts were again met with unanimous rejection letters/emails (I’m quite certain that many of them never even read a word of the materials I had mailed/emailed them). Then I took a break while I pondered my next move. I was becoming aware of the increasing popularity of ebooks, and the proliferation of Kindle readers and the like, and I started contemplating releasing my book as an ebook. I ruminated on this for a year or so, watching the trends in ebook sales and popularity. Early this year I decided that the time was ripe to publish my first book as an ebook only. I found an ebook publisher (BookBaby.com) and within a few short weeks my Word document was converted into ebook and Kindle formats and available for sale online at the Amazon (US and UK), Barnes & Noble, Apple I-bookstore, and Sony eBookstore websites. It feels really gratifying to finally have my book out there. I recently recruited the services of Smith Publicity, and we are scheduled to launch my publicity campaign on Monday, August 8th. I’m excited about the possibilities, and I’ll keep you all updated with breaking news and more info about the book.